Our children can choose what to think on and dwell on in their hearts. What a valuable and important truth we have as parents to teach our children! I’m going to take God’s promises and hide them in my heart. So I don’t forget I’m going to hide them in my heart. I’m going to take God’s promise and hide them in my heart. Hide them in my heart. 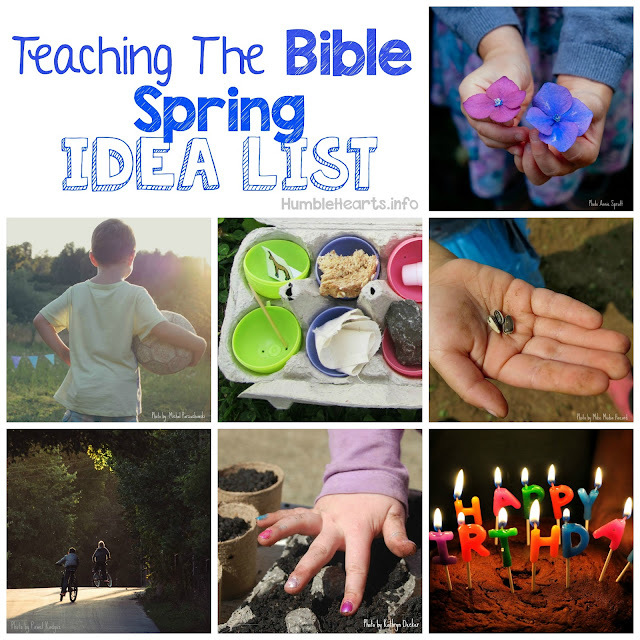 Supplies: Bible, Children’s Bible, printed out notes of teaching, wallet, phone and keys. 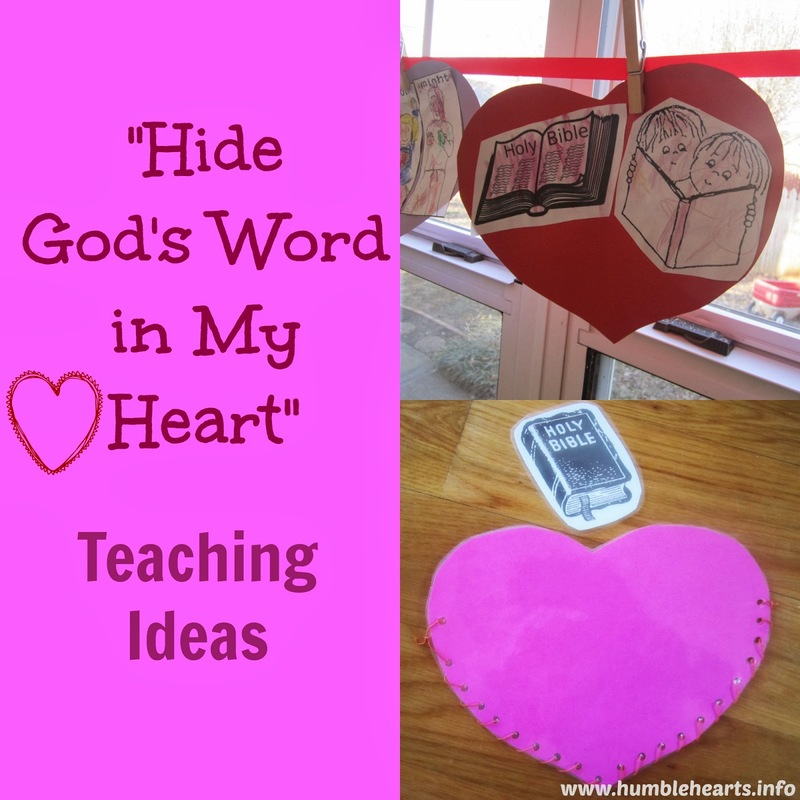 For additional activities print out of picture of a Bible and a heart made out of construction paper. A heart reminds us of our innermost thoughts. (hold Bible up to chest) Does this mean I put my Bible in my heart? No! This means that I think about what the Bible says. What does the Bible tell us? (God loves you, God hears our prayers…) We can think about what the Bible says. We can think about what we know about the Bible. This is hiding God’s Word in our heart. God loves us. We love Him and hide His Word in our heart. Why do you hide something? We hide treasures and things that are important to us. I hide and treasure my wallet, phone and keys. (show them to your child) These are important for the things I need to do. I don’t want other people to take them and then I wouldn’t have them to use. God’s Word is even more important than these things. We want to hide God’s word in our heart so we don’t forget it. 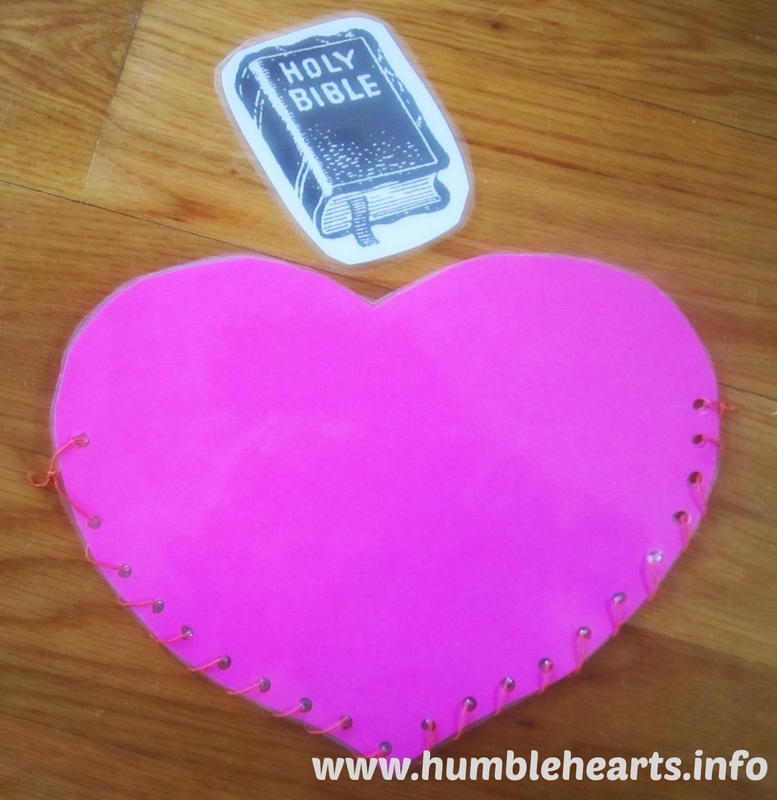 Heart Pouch part 2: Make a heart pouch from “Love God With All Your Heart” teaching ideas. Print out or draw a picture of a Bible. Have your child hide the Bible in the heart. 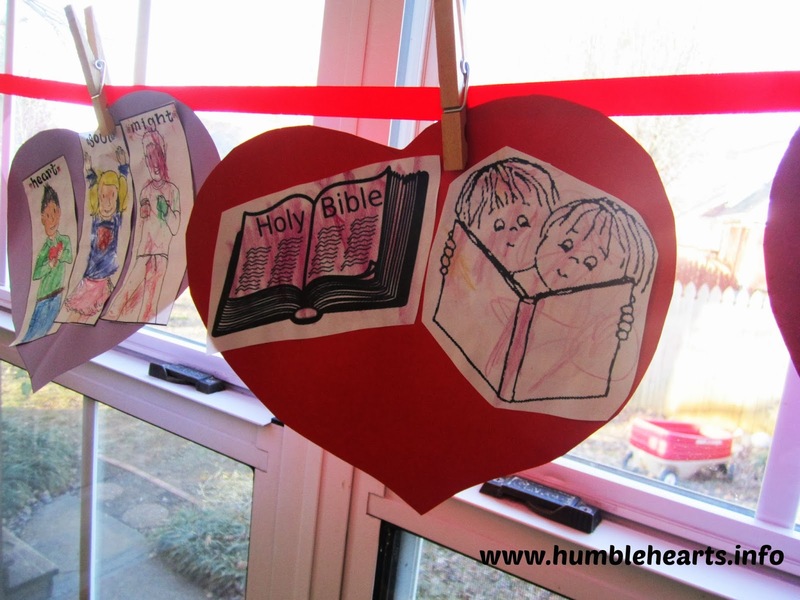 Heart Banner part 2: Make a heart banner from “Love God With All Your Heart” teaching ideas. For the second heart, color a picture of a Bible, or children reading a the Bible. Sign up for my quarterly email newsletter!